In the 1970s, most Americans died swiftly and brutally: of heart attacks, strokes, cancer, or in accidents. But in the past three decades, medical advances have extended our lives and changed the way we die. 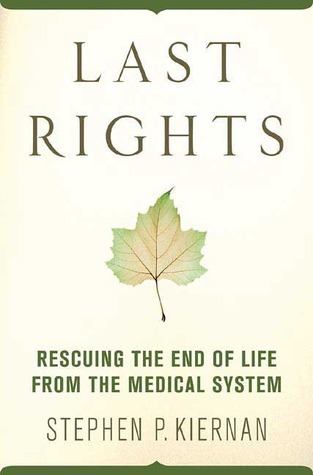 In Last Rights, Stephen Kiernan reveals the disconnect between how patients want to live the end of life—pain free, functioning mentally and physically, surrounded by family and friends—and how the medical system continues to treat the dying—with extreme interventions, at immense cost, and with little regard to pain, human comforts, or even the stated wishes of patients and families. Backed with surveys, interviews, and intimate portraits of people from all walks of life, from the dying and their families to the doctors and nurses who care for them, this book will be for our time what Elizabeth Kubler-Ross’s books were for a previous generation.